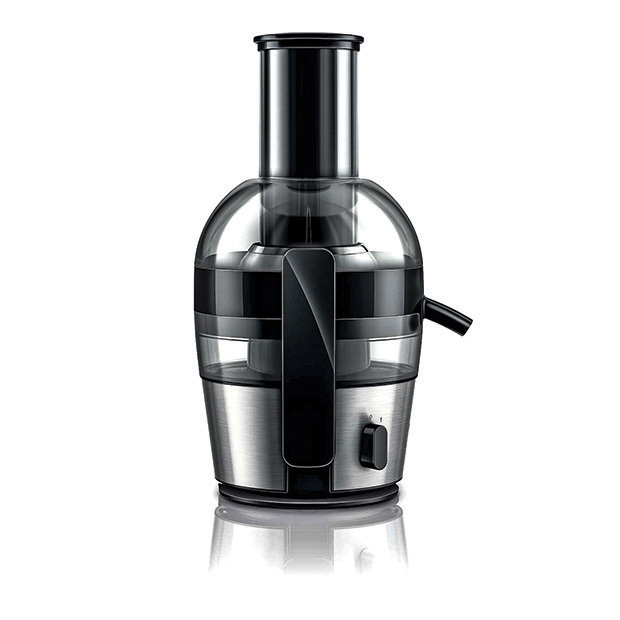 Philips PreClean Juicer HR1863/20 is a distinctive juicer with an innovative upside-down sieve. Simple, convenient and mess-free, the new juicer takes the pain out of the grueling task of cleaning juicers, and extracts upto 10 per cent more juice due to the QuickClean technology and PreClean feature. While the QuickClean technology ensures an ultra -smooth surface of the sieve and prevents fibres from being caught, the PreClean feature easily rinses away any fibres that may still get stuck to the sieve. Some interesting features of this juicer are that it makes up to two liters of juice in one go, has a powerful 700 W motor and requires no pre-cutting thanks to the XL feeding tube (75 mm).